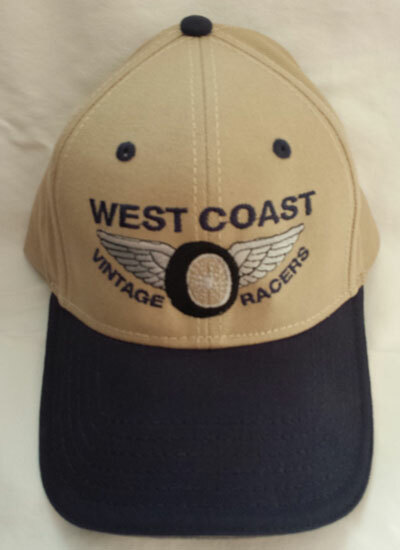 West Coast Vintage Racers was formed in early 2004, with about 20 members and eight or ten cars. Since its formation West Coast Vintage Racers has grown to around 100 members with around 75 cars and has held over 60 on track events all over the Northwest. The word is out among the promoters and track owners that WCVR puts on a great show. 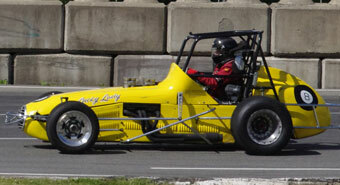 Most of the events are held for two or more days with all the members present getting lots of track time. In most cases, we make arrangements to camp/RV in the pits for events. Typically on Fridays we have the track for most of the day to practice. On Saturdays we usually have some track time in the morning and then run as part of the regular program in the afternoon or evening. 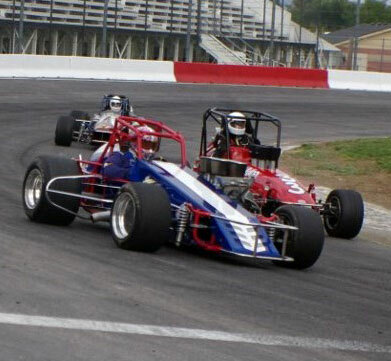 Depending on how many and what type of cars show up we usually run a 4 lap trophy dash for each class, 8 lap heat races for each class and 15-35 lap main events for each class. After the races are over the fans in the stands are often invited to visit the pits to meet the drivers and take pictures of the cars. Many of our drivers pass out Hero Cards to the fans. Marvin Price in Portland, OR is the president of West Coast Vintage Racers and Bill Birdsell is our Director of Competition. If you have a car you would like to run or if you don’t have a car but like the company of fellow racers, our rules and driver etiquette are available for review under "Membership Info". You can also use the "Contact Us" link on this page if you have specific questions about our club, our schedule, and/or membership. How to purchase to club items: if there is room in the pits and the track allows, I will have a table set up at the races. I will mail if you want to pay the postage. You can e-mail me at barklessx2@comcast.net or you can call and come by the house. WCVR DECALS: Peal and press on decals, 2 sizes. 6”, $6.00: 15”, $20.00. Perfect for your race car, trailer, RV.